In the history of technology there have been several trends which have set milestones and have changed the course of technology forever. While a few of these technologies have proven to be more hype than substance and have failed to create any real impact, identifying technologies which create real value is akin to finding a needle in a haystack. The combined juggernaut of social, mobile, cloud and data appears to be driving most of the change and crashing old business models. Below are the 4 emerging technologies which seem to be making a lot of waves among technology enthusiasts, but only time will determine whether these technologies will eventually enable disruptive change. 1) Convergence of Mobile and Cloud: Everyone who has been listening even with one ear will agree that mobile and cloud have been in the forefront of tech innovation over the past few years. The convergence of Mobile and Cloud computing aka ‘Mobile Cloud’ has been gaining stream in the recent times. The advantage of mobile cloud is that it facilitates the creation of heavy duty enterprise mobile applications which use the cloud resource like processing power and storage. Juniper Research suggests that 75% of the mobile cloud applications growth will be fueled by enterprise users. By the year 2014 the mobile-cloud based application market is expected to near $ 9.5 billion, suggests Gartner Research. 2) Internet of Things: The concept of Internet of Things (IoT) has been around for quite some time, but has gained traction lately. Internet of things fundamentally involves embedding sensors and actuators in physical objects. The physical objects can be anything from infrastructure to medical devices. Sensors on these physical objects are connected through wireless and wired networks oftentimes using the Internet Protocol (IP). These sensors generate a massive volume of data which in turn is analyzed by computers. An appropriate example of IoT would be micro-cameras in the form of pills travel through the human digestive track and send back numerous images which are used for diagnosing illnesses. Such technologies are essentially redefining the relationship between humans and machines. 3) Innovations in User Interface (UI): Since the introduction of the iPhone in 2007, we have witnessed a major shift in the way we interact with devices. A lot of innovative UI have popped up in the last few years like- controller free interfaces (Microsoft Kinect), multi-touch trackpads (Apple) and a few others. These UI innovations are fast replacing the conventional/traditional input devices. The near future will see the emergence of more such innovative interfaces which will be simple to use and more effective. 4) Augmented Reality: Augmented Reality (AR) is a technology which has been fancied for a while (think Arnold Schwarzenegger’s virtual retina display in ‘The Terminator’). In augmented reality the elements of the real world are supplemented with computer generated input (sound, video, graphics and GPS data). Several AR applications are already available for mobile devices. Google intends to take AR to the next level through its upcoming product ‘Google Glasses’. Google’s entry in this space has generated a lot of interest and there is a possibility of this technology going mainstream. AR data can be displayed on devices like- eyeglasses, contact lenses, virtual retina display etc. Augmented reality has the potential to open up a whole new vista of application innovation. 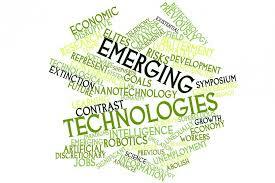 Software development firms like Aress regularly keep tab of such emerging technologies.